The mission of Ohio House Rabbit Rescue is to operate the Ohio House Rabbit Adoption Center, rescue abandoned pet rabbits, offer a robust adoption program, and provide educational resources and programming on the proper care of rabbits as indoor companions. Ohio House Rabbit Rescue (OHRR) was founded in August Ohio House Rabbit Rescue (OHRR) was founded in August 2009 through the efforts of long-time rabbit owner Beverly May. Over the years, May had rescued nine domestic rabbits that she kept as pets. Recognizing that other abandoned rabbits may not be so lucky, May established OHRR in an effort to create a solution to this animal welfare issue in the community. Each year in Central Ohio, approximately 900 unwanted pet rabbits are offered for surrender to animal shelters and rescues that are already at full capacity or do not have the means to care for the them. Many unwanted rabbits are released outdoors which is a death sentence for a pet rabbit. 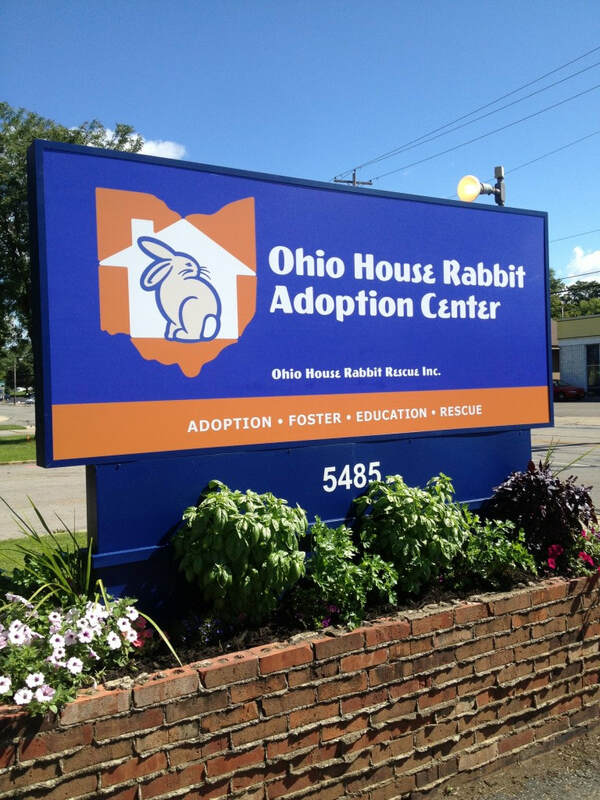 OHRR seeks a better alternative with the Ohio House Rabbit Adoption Center: A rescue, education, and adoption facility. OHRR is comprised of a Board of Directors and a diverse group of volunteers. All work to operate the Ohio House Rabbit Adoption Center and make a difference in the lives of these amazing companion animals. OHRR is funded through donations, grants, special events, and partnerships with businesses and organizations. For more information, please visit the Ohio House Rabbit Rescue website. 1. Annually host Midwest BunFest in Columbus, Ohio - an educational exposition and fundraiser. 2. Maintain the Ohio House Rabbit Adoption Center: a rescue, education, and adoption facility in Columbus, Ohio. 3. Build our volunteer base through community outreach and special events. 4. Obtain grants, corporate funding, and individual contributions to support educational programs and build capacity. 5. Build relationships and collaborations with other animal rescue organizations, local businesses, and corporations. 6. Develop educational resources and programming on the proper care of rabbits as indoor companions.